Looks sweet! btw, kinda off ur post subject, does ur rear fender paint match the OEM paint? If so, where did u find it? I've got some ideas to add a pop of more orange on mine as well. ziglet08, quicksilver and kmeachin like this. Sorry so late to respond.... Yes the fender does "match" pretty darn close. The gold flake in the fender may be a tad "smaller" but I couldn't be happier. Looks good. Which windscreen is that? Any pictures of it from the front? It is the Puig touring. Love it, keeps the wind off the chest nicely. Wind hits my face shield, no buffeting. Don't have a better pic, here is a link though. Last edited by xXAristidesXx; 12-21-2014 at 08:00 PM. What brand is the hugger? Ermax? 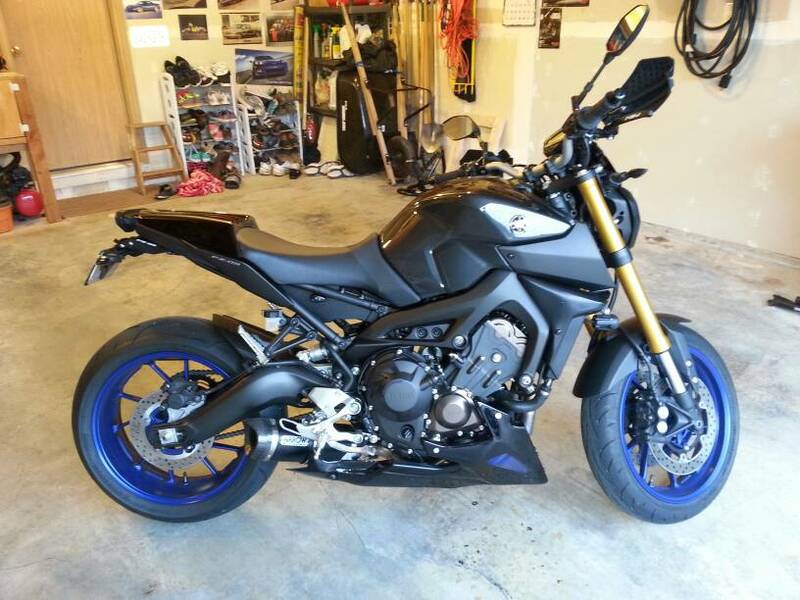 In order to be able to post messages on the Yamaha FZ-09 Forum forums, you must first register.